With over 1B users on Facebook, it’s important to build a community on the largest social channel in the world. Posting content that entices people to share will eventually lead to more fans, more engagement, and in the future, more revenue. Want more revenue now? 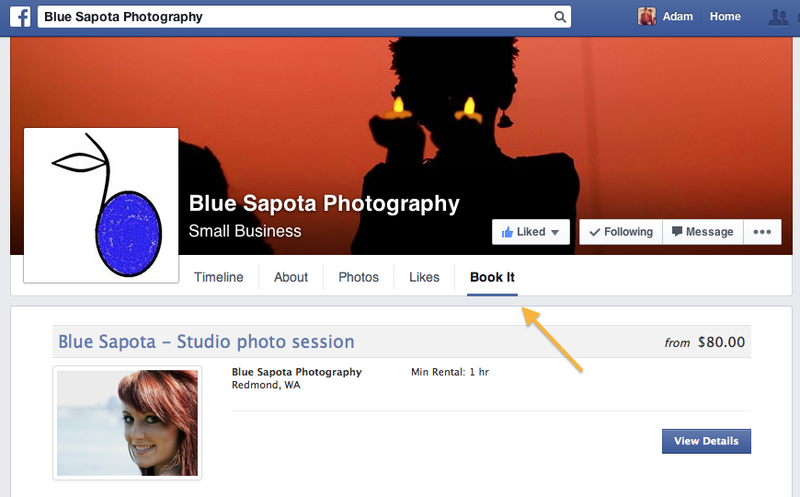 Did you know that you can schedule appointments directly on your Facebook page with PlaceFull? We’ve made it super easy…no coding necessary, just a couple of clicks. How does a customer book on Facebook? 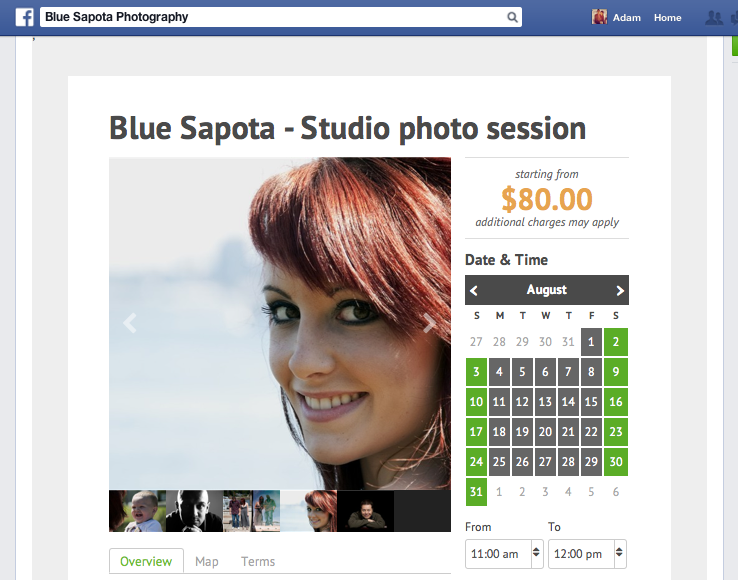 In this example, we’ll use a photography business named Blue Sapota located in Seattle, WA. Step 2: Select listing, pick date and Book Now! Categories: Uncategorized | Tags: online booking service | Permalink.